Order Qty 2 or more for Bonus Gear! 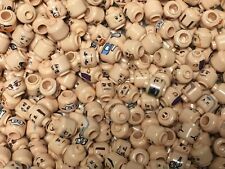 LEGO MINIFIGURES $1.50 EACH RANDOM MEN MIX ALL W/ ACCESSORIES CHOOSE QUANTITY! 100 NEW LEGO 2x4 White Bricks (ID 3001) BULK star wars hoth city town etc. 100 NEW LEGO 2x4 White Bricks (ID 3001) per lot. 5 out of 5 stars - 100 NEW LEGO 2x4 White Bricks (ID 3001) BULK star wars hoth city town etc. 28 product ratings28 product ratings - 100 NEW LEGO 2x4 White Bricks (ID 3001) BULK star wars hoth city town etc. The Legos are all in great used condition. Plastic tubs not included. RANDOM MIXED BULK LOT FROM MY COLLECTION. NOTE ALL MY LOTS ARE FROM 1 OWNER (NOT CHERRY PICKED) ALL GOOD PARTS ARE STILL MIXED IN THESE LOTS ! 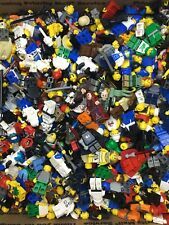 LEGO Bulk lot WHEELS 1/2 lb pound Tires Axles Car Vehicle Lots of Parts! Entirely random but a great way to get lots of wheels at a great price! 4 out of 5 stars - LEGO Bulk lot WHEELS 1/2 lb pound Tires Axles Car Vehicle Lots of Parts! 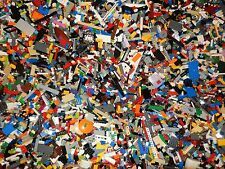 36 product ratings36 product ratings - LEGO Bulk lot WHEELS 1/2 lb pound Tires Axles Car Vehicle Lots of Parts! You may receive duplicate parts in your order. This is a grab bag lot but all parts are 100% authentic Lego pieces. (-----USAGE-----) These are perfect for display purposes, or light play. (-----SERVICE-----) I try my best to describe an item to the best of my ability. I will send directions to correct any problems should they occur. This is an authentic Lego Minifig made by Lego. LEGO Star Wars X-Wing Starfighter Set 75218, NEW Factory Sealed! Trending at $52.12eBay determines this price through a machine learned model of the product's sale prices within the last 90 days. Compatible with Lego. Baseplate not included. Made in China, assembly required. Lots of fun for your kids to play with and use their imaginations for hours. 1 Rope whip. 5 Six-shooter. The printing is durable, UV Digital printing. -Body and head are mint condition, all other accessories are new! 1LEGO STAR WARS AHSOKA TANO MINIFIG from sets 75013 and 75046. 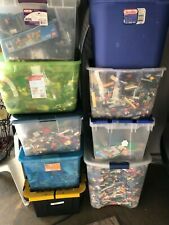 50 NEW LEGO 1x2 Black Bricks (ID 3004/300426) per lot. Official LEGO Color ID: 26. This is a new Lego Star Wars Imperial Assault Hovertank set. It is number 75152. The box front has a crease. It is brand new and factory sealed. It has been stored in a smoke-free, climate-controlled home. I bought this set new and have never opened it. I am selling a large part of my collections. Trending at $31.99eBay determines this price through a machine learned model of the product's sale prices within the last 90 days. 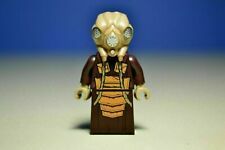 DARTH REVAN Custom Printed & Inspired Lego Star Wars Minifigure! ~~~YES WE DO! ~~~We Plastic Inject. Features a Y-Wing Starfighter and a weapons loader. Y-Wing Starfighter: 2 3/4" H x 7 7/8" W x 16 1/8" D. Operate the crane and lift the ammo into position. Turn the gearwheel to release the bombs. 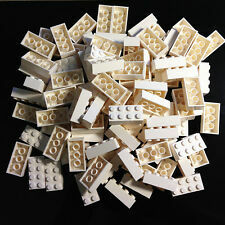 50 NEW LEGO 1x2 White Bricks (ID 3004/300401) per lot. Official LEGO Color ID: 1. 1LEGO STAR WARS PRINCESS LEIA MINIFIG from set 75229. 100% complete •	All 3 minifigures •	Box is included. A bit bent, not perfect •	Instructions, some creases. Not perfect •	Non-smoking home •	pieces are in nice condition. Only built 1 time Thanks for looking! ---You will receive 4 minifigures. Each of them will come with a weapon OR an accessory. --- Your Star Wars minifigures will be grabbed randomly from a massive collection of hundreds minifigs. They are mixture of Good Used condition to Brand New. ---Same Day Shipping - 100% Authentic - Professional Seller --- Attention: You will not receive all of the figures shown in the photos. You may get duplicates if you buy more than 1 lot. 1NEW LEGO PRINCESS LEIA MINIFIG from set 75192. Stone Grey Plate 2X2 W. Stump/Top (92582/4666449) "Light Grey" / "Light Bluish Grey" per lot. Official LEGO Color ID 194. Condition is Used. Lego Death Star Final Duel 75093 (Retired). WARNING – LEGO pieces are intended and rated for children 5 years and up. Be advised that LEGO parts should not be swallowed as it can present a choking hazard. By purchasing this item you agree to release us from any liability regarding the improper use of this product. 5 Clone Stormtrooper Army LEGO Star Wars Minifigures LOT RANDOM FIGURES READ! LEGO building toys have been teaching kids hand-eye coordination and opening up imaginations for decades. These small, interlocking bricks are part ofmodernpopular culture, and the toys are available as everything from superheroes to characters from the Star Wars film franchise. Star Wars figures not only represent some well-known characters but the film series' vehicles as well. Minifigures are the pieces of Star Wars LEGO toys that come in the shape of characters. Aminifigureis buildable, and after it's complete, it may look like Princess Leia, Obi-Wan Kenobi, Luke Skywalker, Han Solo, or a stormtrooper. Star Wars sets come with assorted characters included, or you can collect the action figures separately to let them interact with each other or mix and match them in numerous sets for imaginative playtime. Rey is a character that debuted in "The Force Awakens." When playsets came out that represented that movie, she was shown in her white and tan Jakku outfit, though newer versions of Rey from "The Last Jedi" show the figure in her Jedi training robes. Han Solo has seen numerous variations since the sets were first released. He has worn his standard outfit and sported a Hoth look, and there was also an exclusive figure featuring Han wearing a gold medal. Darth Vader is one ofcollectors'favoritefigures, and some variations include battle-damaged Darth Vader and Vader with various facial expressions under his helmet. What Are Some Star Wars Sets? With each movie release and to celebrate the classic films, new playsets are released. A building set usually features one vehicle as well as several figures that go with that vehicle, while other sets may just come with one detailed vehicle, meaning that are many sets from which to select. A Kessel Run Millennium Falcon set comes with enough pieces to build the entire ship. This is a large, detailed set that features over 1,400 pieces and comes with seven action figures, including two droids, Chewbacca, and Lando Calrissian. The First Order Star Destroyer set offers pieces that create the ship itself along with five characters representing the Order, such as Supreme Leader Snoke. You can also build a TIE fighter with the Imperial TIE fighter set. This distinct building set comes with components to build the vehicle as well as four characters that include a stormtrooper and Han Solo. Which Ages Are Star Wars Toys Appropriate For? LEGO Star Wars sets offer enjoyable construction toys for kids as well as adults, but since the sets and toys contain very small pieces and parts and since there are numerous levels of difficulty, there are also age recommendations for many of the sets and figures. The age range for younger children is 6 to 8. Kids in this age group can play with sets that feature fewer pieces, so the building set isn't too difficult for smaller children. Some of these sets include Han Solo's Landspeeder and the Rebel U-Wing Fighter. Kids from 9 to 11 can enjoy more complicated sets with additional parts, like the Resistance Bomber or the BB-8 model. Bigger kids the age of 12 and up can enjoy the most detailed sets, like the 4,000-piece Death Star. Content provided for informational purposes only. eBay is not affiliated with or endorsed by LEGO.